“Do you use Lean methods in your small business?” I asked a small business owner. And he stared at me as though I came from outer space. On probing more, I found that he thought such a method applied only to a manufacturing business. This is how many think. 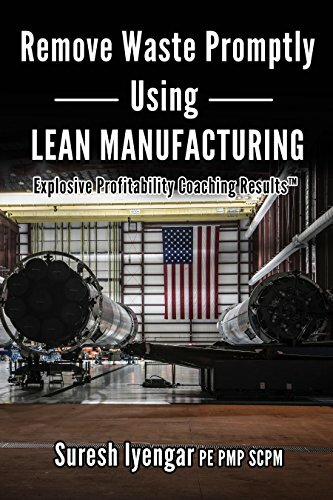 Few know that you could benefit from Lean Manufacturing for any business––service or manufacturing. It is a discipline. It is a team effort. It is about removing steps not adding value. And you match the steps to the customer order, and you make goods at the time they need it. It is one more method to grow your business. It doesn’t have to be complex for you to benefit from small business coaching Houston. Here are 7 ways for the small business owner to improve small business manufacturing. Overproducing is making more than the customer needs right now. Using sales forecasts or trying to avoid setting up machines to produce goods leads to extras. Customer won’t need these extras right now. Batch methods lead to extra goods. Making goods using “Pull”, TPM and level load or “Heijunka” are all countermeasures. When making more goods than necessary, we get more inventories. It results in more materials, parts and goods in stock than the customer needs right now. It’s called WIP or work in process. It’s unfinished work units. Reduce inventory working with supplier lead-time. Keep one assembly line and reduce set up time. Waiting is idle time when materials or machine or information or people aren’t ready to make goods. Check Customer demand. Measure time to make the unit. Make the unit using “just-in-need”. Use real-time step readings and TPM. These steps avoid waiting. Examples are: waiting for parts, prints, inspection, machine info or repair. Check for work, which has errors, mistakes, rework or omissions. They cause defects. Examples are scrap, variation, missing parts or correction. Check if you use one-piece pull and not batches to make units. Check if you have built-in quality. These steps remove defects. Motion moves people. It doesn’t add value to delivery of goods to customers. Store for easy use of items. Check one-piece flow. Build better workstations to help making goods. These remove unnecessary motion. 5S stands for sorting, straightening, sweeping or shining and standardizing. These steps keep the workstation clean. Transport moves goods and does not add value to customer delivery. Check if you move parts in and out of storage. Check if you move materials from one workstation to another. These steps don’t add value. Install better flow lines for work. Use “pull” methods to make goods. Use value stream of business. These are countermeasures to non-value transport. People handle goods only when needed. Processing is effort adding no value for customer. Check for delay between steps. Check “push” method of making goods. Check if you have misunderstood the customer. Check if customers and users approve your designs. These are items in extra processing. “Kaizen” means continual improvement. It brings big results from many small changes added in time. Taking the 7 steps will improve performance of your small business. And even if you don’t make goods, you’ll improve your service quality.